Fire Season is coming soon! - Superior Tank Co., Inc. Proper operation of the tank liquid level indicator ensures emergency personnel can quickly and accurately gauge the amount of water remaining in the tank. In addition, it is critical control valves and electronic water level sensors function properly to allow the water tank to refill as fast as possible. If roof vents are clogged or improperly sized, damage to the tank could occur during high draw periods due to negative pressure. In addition, per AWWA D103 and NFPA 22 standards, bolted steel tanks must remain at atmospheric pressure and cannot be over/under pressurized. Installation of seismic flex couplings between the water storage tank and piping ensures these connections remain intact in a seismic event and water will continue to flow. Including a Storz connection will allow firefighters to directly connect pumper trucks to the water storage tank. To prevent sediment from being drawn into firefighting equipment and causing damage, any excess accumulation must be removed from the bottom of the water storage tank. If assistance is needed, we can provide a variety of services to get your water storage tank prepared. 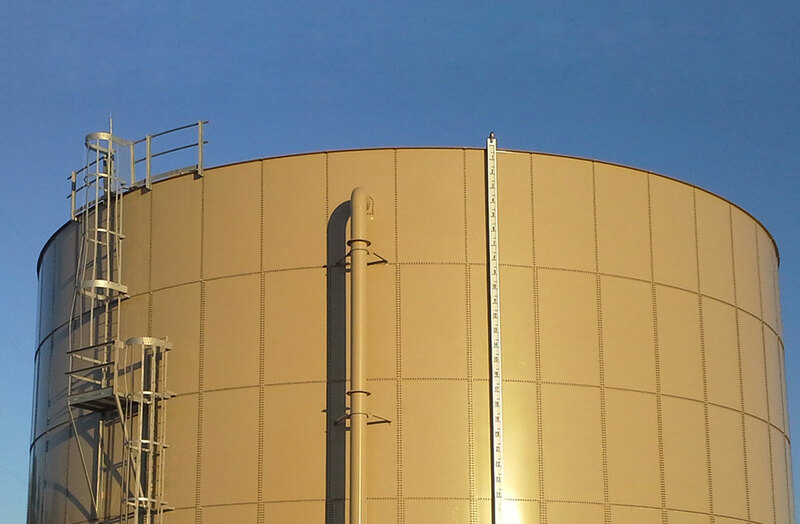 Our tank experts can provide a conditional assessment on your bolted or welded storage tank to discover any areas of concern. We offer various options including interior/exterior visual examinations, dive inspections and comprehensive off-line assessments. To clean out sediment, we can provide a tank washout in conjunction with an off-line conditional assessment. If a deficiency is discovered, we can provide repairs through one of our local field teams. Our service teams can also perform basic maintenance such as vent screen cleaning/replacement and replace entire vents if they are damaged. We also offer emergency repairs to help get your tank back online as soon as possible. 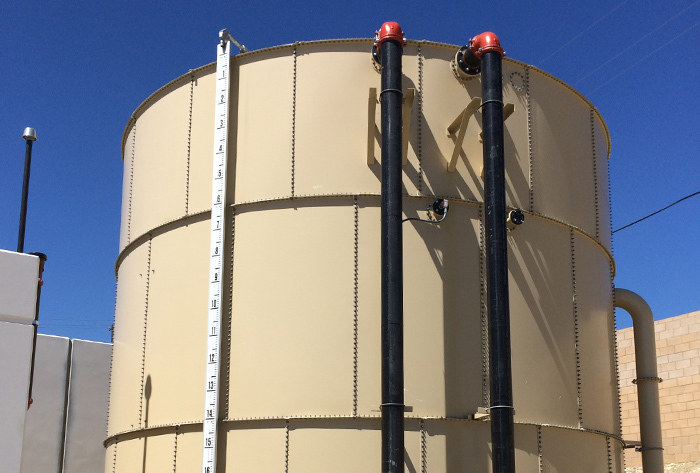 If additional storage or replacement bolted or welded steel tanks are needed, we can manufacture and install a wide variety of water storage tanks. Previous Another Superior Tank First!